Machine performance, soil type, and input and yield measurements are key factors when making smart agronomic decisions. SEMA Equipment provides the equipment, tools and technology to collect, protect and learn from your data. 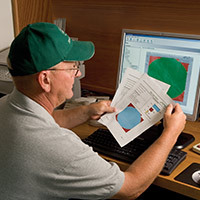 We'll partner with your agronomist to build precise prescriptions and recommendations to make your data work for you. SEMA Equipment is your total solution. 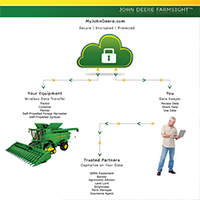 MyJohnDeere.com is your central dashboard. Connect to JDLink, Operations Center, Stellar Support, Financial Accounts, Service Manuals, JDParts, Field Connect and more. Click the image above for larger infographic. 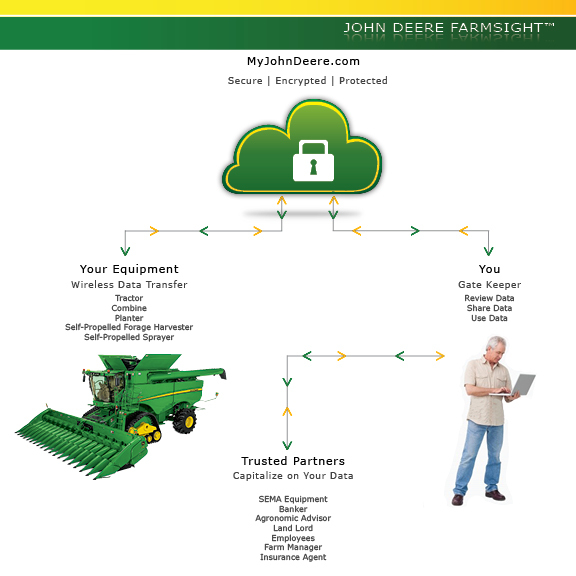 JDLink is an online equipment management system to manage your operation in real-time without being in the cab. JDLink provides essential machine information leaving you in complete control to increase machine productivity. 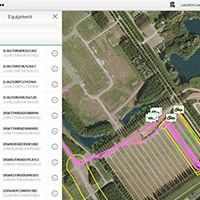 Operations Center is where you can view and maintain field maps, field data, logistical information and machine uptime to easily plan, run and manage your operation. 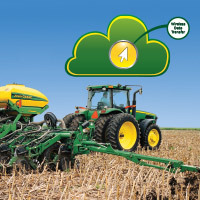 Quickly and easily send field data and operations data wirelessly with the click of a button. No need for flash drives or the hassle of driving or mailing your information to the appropriate people. 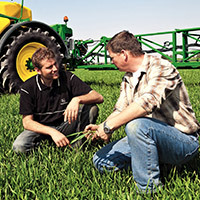 Operational and yield data is valuable to help you gain an understanding for your operation. 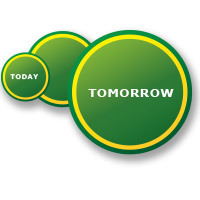 Over the long haul, your data will help you earn more profits by minimizing inputs and improving yield.